… “I’m not so good at remembering my dreams!” Or “I can never remember what I have dreamt”. I have heard these phrases quite often, despite the fact that we all on average dream 2 hours per night. In order to interpret your dreams, you must of course be able to remember them. Scientists have discovered that on average women are better than men at recalling their dreams, and women also believe – more than men do – that the content of their dreams actually means something. But both men and women can become better at remembering their dreams. 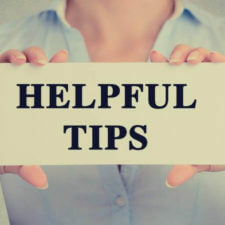 Here are 5 great tips to help you to better remember your dreams, and therefore have a basis to become better at the interpretation your of dreams as you then will have dreams to interpret! 1. Show some interest in your dreams. The moment you start showing your dreams (real) interest, you will find that you more easily will recall them. You simply obtain a better connection with your unconscious, where our dreams come from. In order to find this interest, you can look at your dreams as a part of yourself that is more informed about you – a part which is several steps ahead of your waking/conscious self, which has some strong “views and opinions” about the way you live your life. 2. Decide and say to yourself that you will remember your dreams. Tell yourself – just before you fall asleep – that you will remember your dreams when you wake up. In this way, you are telling your brain that you will remember your dreams. 3. Write down (or even better record!) your dreams. Have paper and pen lying on your bedside table. If you use a notebook, be sure to have turned it to the page where your next dream can be written. Then you do not have to take the time to look for a blank page in the middle of the night. 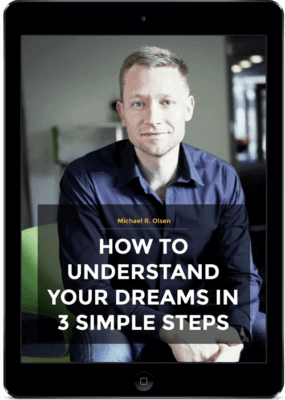 Alternatively, you can record the dream on a voice recorder/smartphone, by way of which you typically get much more detailed reports of your dreams . When you start writing your dreams down/record them, you tell your mind and your subconscious that this is something you want – making it easier to recall your dreams. It becomes very effective when you start to reflect on what the content of your dreams can mean, which is a whole new chapter in itself. What about you – do you have other tips for how we can become better at remembering our dreams? “Get enough sleep!” and “Write down your dream” is practically and clinically best way to remember your dreams. Thanks for sharing these. Our practical studies on most of my patient shows “Clear your mind before going to sleep” is also very helpful good way to remember your dreams. Because most of theories prove that you can remember your dreams. by taking proper sleep. Practically it is also proved that due to less sleep human beings mostly forget their dreams. Even before half an hour of sleep stop doing all the daily activities like watching TV, using cellphone, laptops and other busy activities, doing some relaxing activities like take a shower or read a novel that interested to you and you can make a habit to write down your dream. These techniques will definitely helpful for you to remember your dreams.